Experiential campaigns can be magical for kids. They often enable something in a child’s imagination to become a reality – providing them with a very memorable experience. A great way to build brand love from an early age! 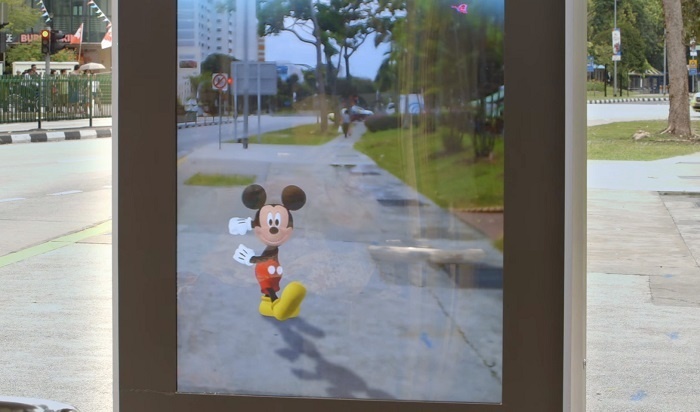 Disney Junior recently made dreams come true for some lucky children in Asia when it used augmented reality to turn an ordinary bus shelter into something many little ones have fantasised about. 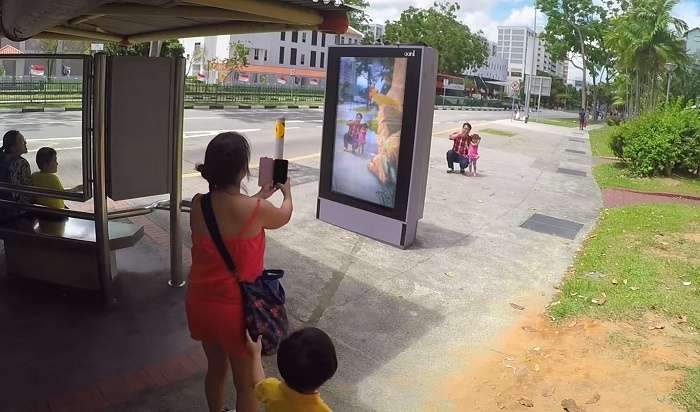 To create the campaign, Disney applied creative technology to a bus shelter billboard on a busy street in Singapore. This created the illusion of just showing the road ahead, but as people sat and waited for their transport, they were greeted by some of their favourite Disney Junior cartoons. Beloved characters from Mickey Mouse Clubhouse, The Lion Guard, Sofia the First, and Miles from Tomorrowland, appeared on the screen, as if they were standing right there on the street. But the fun didn’t stop there. Mickey Mouse invited his fans to have pictures with him, mermaids swam across the screen and Sofia the First challenged onlookers to pirouette along the path with her – all before the actual ‘real life Mickey’ made an appearance. The stunt, part of the ‘Disney Junior Magical Moments’ campaign, made the perfect social video that warmed over 1 million Disney fans hearts across the world. When it comes to exciting children (and their parents), Disney certainly knows what it’s doing. The brand often uses technology in clever ways to create an enchanting experience. Its Alice Through The Looking Glass stunt startled fans with a live stream with Johnny Depp dressed up in his iconic Mad Hatter costume, whilst another campaign surprised shoppers in a mall with shadows of legendary characters that interacted with them. Disney prides itself on being the place where ‘dreams come true’ but with its out-of-the-box experiential campaigns, the brand is moving this moto swiftly into everyday life.